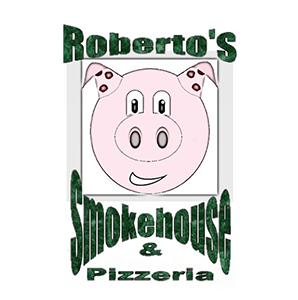 Online ordering menu for Roberto's Smokehouse & Pizzeria. Here at Roberto's Smokehouse & Pizzeria, we offer fresh dine-in & carryout pizza, subs, appetizers, and desserts. We bring you NEW YORK style pizza, with our secret sauce recipe infused with seasonings from around the world. We have more than just pizza; we also make an award-winning PHILLY STEAK SANDWICH that leaves our competition behind. We're south of Clear Lake at the corner of Monroe Street and Lincoln Way. We're near La Ponte County Public Library. Order online today!